The workout of the week is for all my traveling athletes! As someone who loves to travel myself, I find it helpful to have quick workouts I can take with me wherever I go. Many people use vacation or traveling as a time to forget working out and ditching their healthy habits. However, research has shown that vacations can be the best time to start new habits! Your brain is forming new pathways because it is unfamiliar with the new environment in which you are visiting. Traveling in a new place floods our brain with new experiences, which ultimately form new neural pathways. When we are home, our brain is on autopilot, which makes it harder to start new healthy habits. So why not add some healthy changes to the mix when we are on vacation? Check out the 30-minute circuit below- you can include dumbbells or kettlebells to the circuit by adding weight to sit-ups, squat hold, Russian twists and bridge lifts. All of these exercises can be used with or without weight. During the warm-up, pay close attention to your form. This is a great opportunity to slow down your pace and focus on breath and posture to warm up the muscles. The bulk of the workout is 6 rounds, 30 seconds of work, 10 seconds of rest/transition. Starting with jumping lunges, remember to keep the chest tall and drive the knees out. 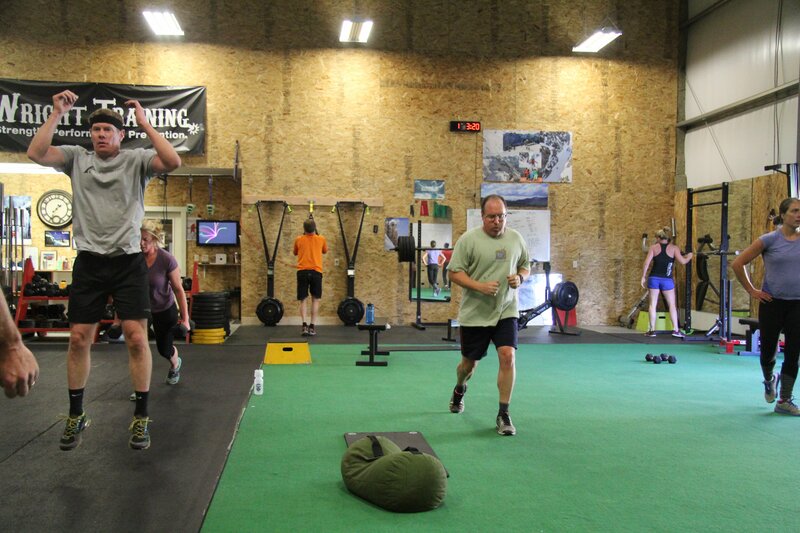 Burpees- jump up, clap hands above the head, plank pose, push-up and then jump up, repeat. Hollow rock – push lower back into the floor, fully extend arms and legs and rock up so your body forms a half moon shape keeping joints stable. Enjoy Team! Looking forward to hearing about your summer plans!